Ms. Sima Merick has been an employee of the Department of Public Safety for 27 years. She began her career as a Dispatcher for the Ohio State Highway Patrol in 1985 and held other non-sworn positions within that division until 1996 where she began her career preparing the emergency management and mitigation techniques still widely utilized today. In 2000, Ms. Merick served as a Grant Administrator in the mitigation branch, and in 2001, she was promoted to the Chief of the Mitigation Branch. In 2005 she was promoted to Director of the Mitigation, Recovery & Preparedness Grants Division. In this capacity, she had oversight of mitigation and recovery program administration and grants, the federal homeland security grants and the fiscal section of the agency. Her entire portfolio encompassed management and responsibility for more than half a billion dollars in federal and state funds. Ms. Merick was appointed by Governor Kasich in 2011 to Assistant Director of the Ohio Emergency Management Agency and served in that role until being appointed in June 2015 as Executive Director. 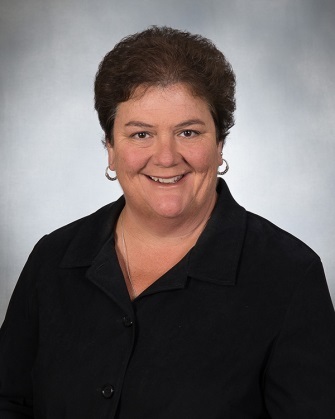 She is an acknowledged leader among her peers in other state emergency management agencies, often sought out for her expertise and knowledge in program and grant administration. Within the agency, she is sought after as a sounding board and mentor for junior staff. Ms. Merick has a degree from the University of Akron and resides in northwest Columbus.